I've used them only one when I fielded one in my Titania crew. Its pounce attack can be really effective combined with Tooth's "lure" and pushes after attack. They hit pretty well, have Hard to Kill, can heal and can cause pushes (which can lead to even more attacks). I like the idea of ancient wolf-like giant undead hunters but I think the design falls short of capturing the essence of their nature. 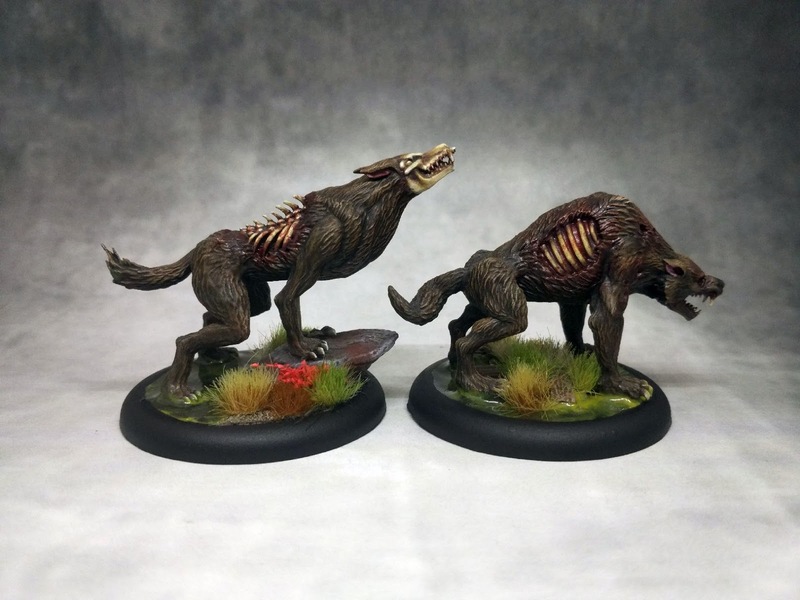 The left one is meant to be in a classic "howling to the moon" pose but it looks a bit as if it was squatting. 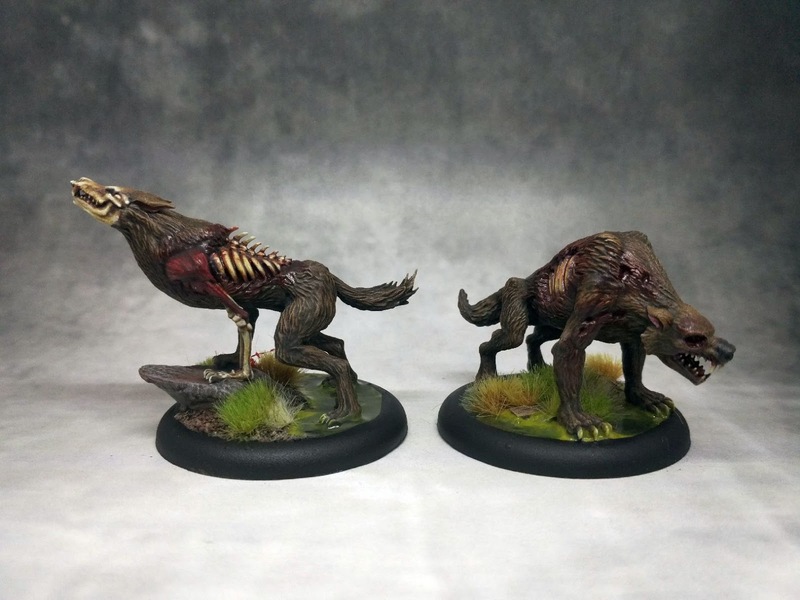 Also, the part where his fur and part of skin is removed is marked too neatly (on both minis), as if it was surgically removed to form a round, even shape. It took me a while to paint them as I wanted to have a look of ancient, matted, partly rotten fur. I started with bight colors and gradually toned them down with plenty of washes and glazes. Now, a fair warning. What's been seen can't be unseen so bear it in mind if you decide to watch the video below. The title goes well with the content of the post but the rest is, well... weird to say the least. Podstawki jak zwykle wyśmienite. Wilkozombiaki też przednie. Dzięki! Na dniach wrzucę jeszcze zdjęcie piesków w tym klimacie. Teledysk znam i szanuję. Ale figurki jeszcze lepsze od niego, co świadczy samo za siebie!